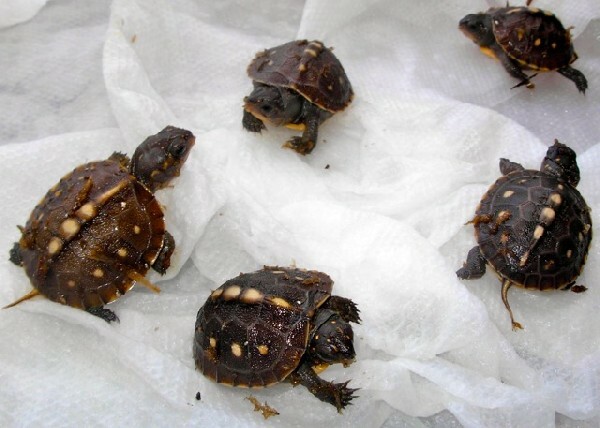 These five 3-toed box turtles are from the same clutch. They were housed inside over the winter, feed the same mix of Reptomin, insects, and fruit/veggies, kept at the same temps - but my, the difference in growth is amazing. 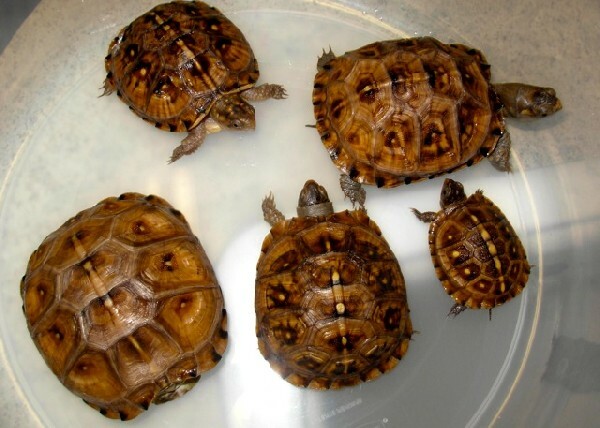 The second picture is the turtles at 8 1/2 months.